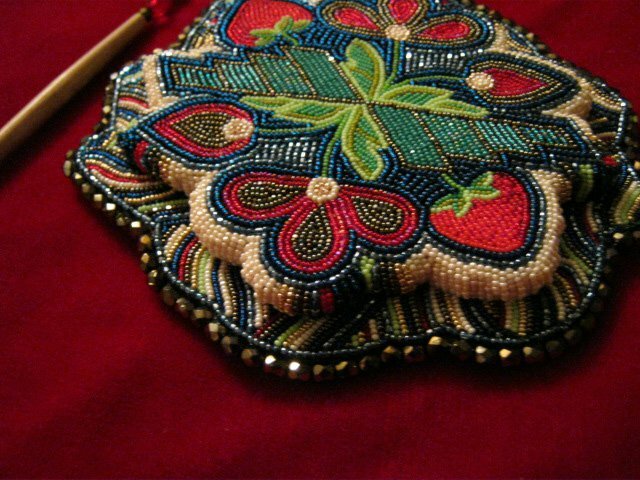 Summer Peters, a proud member of the Saginaw Ojibwe Tribe of Michigan, first learned to bead from her mom and grandmother. They taught her to thread her first needle and how to make the knot at the end, and it seems like she hasn't stopped since. 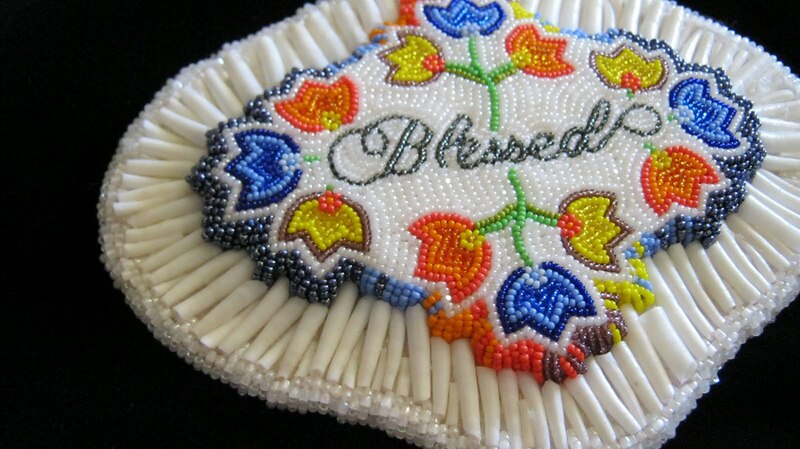 She developed her own unique technique of beading, and sold her first piece of beadwork when she was a young teenager. "My beadwork is watered and fed well everyday." When did you get into beading? 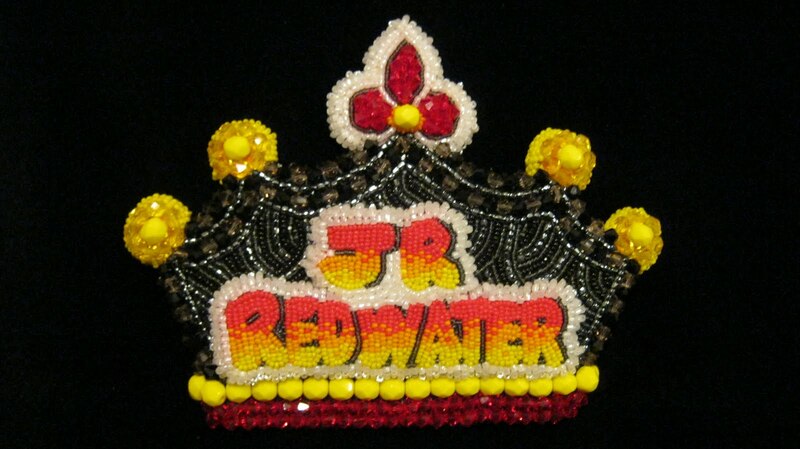 I started beading when I was about 8. I was drawing since I could pick up a pencil and my exposure to the arts always offered an opportunity to try whatever was placed in front of me. My mom was a single mom and was working on her Business degree while taking care of me. People would come to our house to tell her what they wanted made. She mostly made necklaces with whatever the client wanted on it. This was her way of supplementing her income during the early 1980s. My grandmother's house was also filled with art supplies. In her living room was a couch, a tv and a huge table filled with paints and beading supplies. I would walk over there and very persistently yet respectfully demand that she teach me. Lol. She was the one who sold her creations in town, at the tribal center. Her house was such a creative hub that she even had a full size kiln in her extra bedroom. The inspiration and foundation came from them, I was motivated to keep on beading because I danced jingle and knew that I wouldn't have beaded leggings or moccasins if I didn't make them myself. People began to place orders with me as early as age 14. 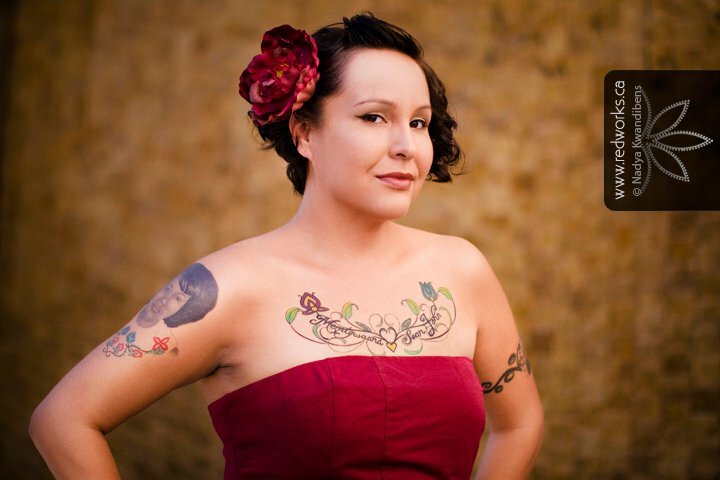 The first thing I ever sold was a barrette with 3 purple roses, it sold for $40. For a 14 year old back then, that was a jackpot! What is your favorite thing to bead? My most favorite thing to bead is my tribe's traditional floral style that is a common characteristic of the bandolier bag. I am Ojibwe and have great pride in where I come from. I do bead designs from other tribes when I have a client who requests so but if I am working by my own creative freedom, I am beading flowers, leaves, berries and other foliage that one can find in a Great Lakes forest. 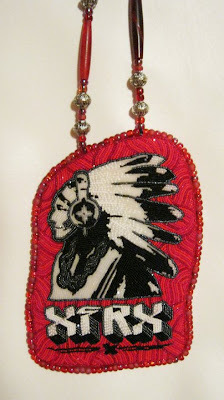 I live in the desert, and beading Ojibwe-style keeps me connected to my homeland and people. I like to give the floral work the contemporary spin that I am known for. I do them in unexpected colors, it's just a little bit of me in a very old traditional shape. My mom is an inspiration. She was a single mom who is now a highly educated individual. Her and my grandmother showed me it is possible to make a living off of God given talent. My ancestors with all their struggles and perseverance are an inspiration. My family, in the 1940s, used to make large birch bark laundry baskets for the farmers and school teachers as a way to make a living. My kids inspire me everyday to work hard, everything I do is to ensure that they have a easy life and bright future. Music and nature inspire me. Lastly, my peers inspire me to be a good business woman and strive to do my best. What is something that a lot of people don’t know, but should know, about your tribe? One thing about my tribe in Michigan is the high rate of talent that it has produced. We have many of us who are award winning artists all the way to tribal members who work in the movie industry. My reservation has the same problems as every other tribe but the fact that so many of us have taken our talent to another level is something I am proud of. You can check out Mama Longlegz on Facebook. She will also be at this year's RES12 in Las Vegas. every Native American has talent!!!! They're necklaces, a.k.a "Native Bling."